At the very heart of Rose Press is — you. We publish books to nourish your inner being and grow your inner garden. Whether you are simply a devoted reader or also a writer, Rose Press books are designed to open you to the beauty of your own true being. And isn't that just what we want from a book — to see who we are? To have direct access to the materials (and im-materials) for growing our inner garden well? To live in a world where our incredibly beautiful fragrance reveals itself to us, and helps bring about a transforming and welcoming world? The fragrant offerings of Rose Press books can make this vision real for you. Keep on reading. Smell the roses. This series brings you closer to the Source of creation that is not only available to you, but is actually in you. Whether you want to start actually writing a book or simply become more intimate with your inherent creative ability, this series will unveil the mystery by bringing you into the Mystery of Creation, and give you insights, tools, and encouragement to take this wonderful, life-changing journey for yourself. Out of this will evolve a book with your authentic voice and message — one that heals you as you write it, and heals your readers as they read it. A book whisperer charts a path to finding your own path through writing a book — and revealing the beauty of your true nature in the process. Starting your book is not a formula you need to learn. It’s an organic growth that can only come out of you. You are essential to writing the book rooted in your heart, and this presence is your real gift to yourself and your readers. "Naomi's book has been a solace and a reminder that I do have something to say. We all do. I began to thrive on her encouragement." Click here to Learn More about "starting your book"
2. THE PROCESS NOTEBOOK, by Naomi Rose. For use with STARTING YOUR BOOK. A hands-on creative companion to use with Starting Your Book to help you discover, track, navigate, and treasure how your book-writing process emerges out of you to fulfill your creative promise. Becoming aware of your process as you write improves your range, writing, and confidence. You can let go of external standards and work fruitfully with what’s in you. Starting Your Book opens the door — The Process Notebook helps you go through it! This deep self-discovery tool helps you write your book(s) with presence, self-awareness, gratitude, and, frequently, joy. Click here to Learn More about "The Process Notebook"
3. 10 ESSENTIAL QUALITIES THAT HELP YOU WRITE YOUR BOOK, by Naomi Rose. When we find ourselves called to write a book, we may feel we’re not up to the task. We may brush our creative desires aside, but a nagging sense persists. Something wants to be known through us, as well as by us. But there’s good news: as human beings, we have access to infinite essential qualities that dwell within us — in seed form, if not already blossomed. These qualities give to us, rather than taking from us. They renew and expand us rather than depleting us. And they are always here for us, if we know about them and know how to open to them. 10 Essential Qualities That Help You Write a Book will help you open to specific essential qualities waiting within, so that you can write your book with their loving support. Knowing about these essential qualities — and knowing that you can tap into them and make them real for yourself — can help you move beyond perceived limitations and stuck places in seeking to write a book. Then you can work with yourself instead of against yourself. And you can grow, inside, as you grow your book. When we look out at the world, often we see and react to its limitations, sufferings, and oppressions. And yet the outer conditions can be manifestations of internal human conditions, played out on a larger societal scale. So the outer affects the inner world, and the inner the outer. Yet when we are not conscious of this connection, we under-credit the influence that our own personal healing can have on the larger world. The books in this series, “Healing the World from the Inside Out,” seek to illuminate the connection between the inner and the outer life and show us a way to wholeness. Out of this, we may awaken, bring more compassionate awareness to our actions, and (however it shows up in us) become a genuinely healing presence in the world. The doctor has taken the pulse of our modern way of life, and concluded that it is very sick. How did this come to be? And is there a cure? 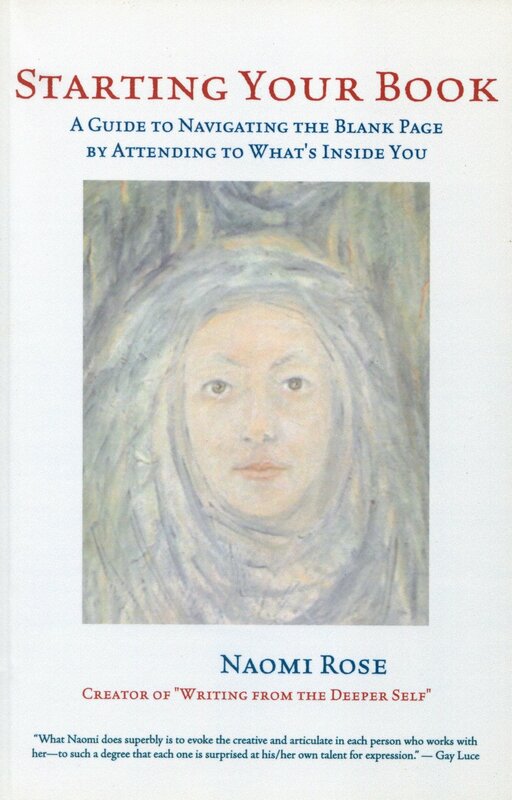 In this ground-breaking book, the noted Chilean psychiatrist and consciousness pioneer Dr. Claudio Naranjo applies his over 30 years of transformational work with individuals and groups to the societal realm, giving us the inspiration and tools to heal the world from the inside out — by finding balance within our own "intra-psychic family": head (father), heart (mother), and instincts (child). Because healing civilization is an inside job. 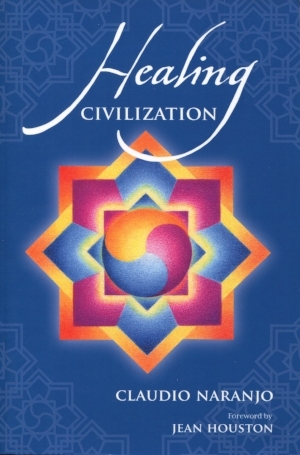 Click here to Learn More about "healing civilization"
Print edition. $14.95 each, or just $39.95 for the entire set of three. A retired psychotherapist brings this gripping fantasy of the healing journey to vivid, unforgettable life — and takes us to the edge of our own humanity and redemption. In this gripping, three-part novel of the passage from abuse to redemption, a most unlikely hero, — born a slave in a land overtaken by a sorcerous despot so long ago that its peaceful origins have been nearly forgotten — is chosen to bring the Sacred Balance back to the world. But the imprint of abuse goes deep, and the hero’s healing journey is filled with twists, turns, and arduous trials as he walks the “hard path of forgiveness.” A deep, rich story of the transformation and healing journey of the soul, and how internal abuse plays out in the societal arena . . . tailor-made for our own time. 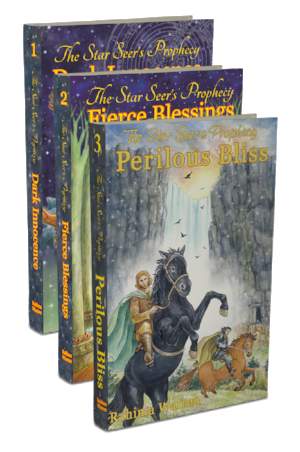 click here to Learn More about "the star-seer's prophecy"
Opening the door to how the inner life holds the key to our fortunes. Most of us learn that money is something outside us, and that how much of it we have depends on such factors as luck, hard work, constant attention to getting it, and so on. But our inner life — our connection with our deeper nature — is the real key to having what we need, and to trusting life to support us totally. Print edition, $17.95. Ebook (PDF) edition, $12.95. When money is an outgrowth of your inner wealth, it comes to you. You don’t have to “go out and get it.” You only need to connect with your true nature to have all you need. MotherWealth weaves a magical story of how the death of an old sense of self can bring an endless ocean of treasures from within — including money. This inside-out approach takes into account the inner life that holds the key to our fortunes, and offers a much-needed perspective on why the soulless model of money isn't working — and what will. Click here to Learn More about "MotherWealth: The feminine path to money"
What if every time your hands, mind, and heart touched money, something wonderful happened? The Portable Blessings Ledger helps you bring your heart and finances together in an immediate, hands-on way — and reap the benefits and blessings that accrue. The Portable Blessings Ledger brings together the record-keeping part of your financial life with the blessings-finding part of your spiritual life. As you begin to bring your present-moment awareness and willingness to see blessings in any financial transaction (actual, anticipated, or even feared), your consciousness expands to include much, much more under the umbrella of “abundance” than you may have previously realized. A marriage made in heaven! click here to Learn More about "The portable blessings ledger"
This series is about how the beauty, wonder, and poignancy of life is right here, right now — if only we are present to see it. 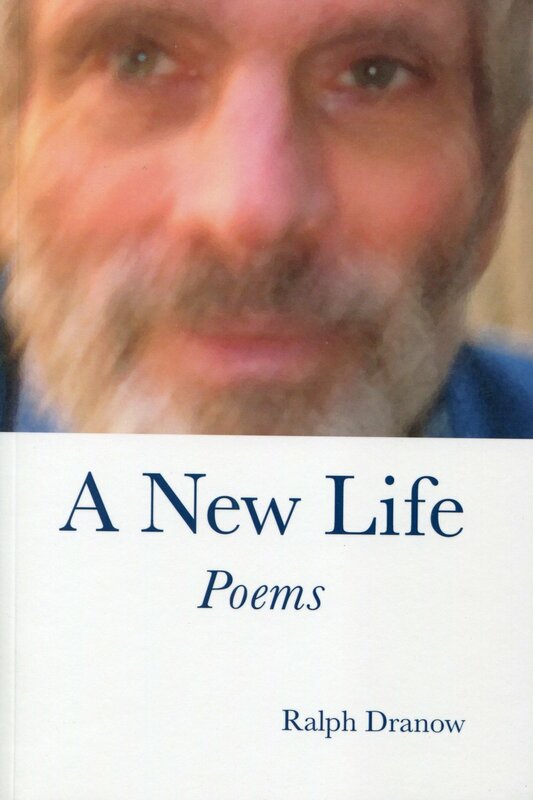 The 76 vivid poems in A NEW LIFE by Ralph Dranow offer us a unique and compassionate view of what it is to be human. A father spending hours looking for his young daughter's toy in "Professor of Patience" achieves a modest nobility, as does the family joyfully and sloppily playing Frisbee in the park in "Happiness." The old life becomes a new life through the poet's discovery of the mystery and wonder that lie just beneath the surface of our everyday lives. Click here to Learn More about "a new life"
Rose Press seeks to offer you books as fragrant offerings that will live in your heart like an eternal time capsule, releasing their healing medicine as you need it. As a book publisher with an intimate knowledge of the creative process and its healing potential, we hold the vision that our books will connect readers to their true natures, in part through the authors' own writing journeys. "Fragrance" is not usually associated with books. In our speeded-up age, we often are told that books are only about ideas, entertainment, steps for helping us be more new and improved. And yet there have been books that are mirrors to the soul ~ marvels of excavation, revealing the vast treasures hidden within every human heart. There have been books whose journeys swept readers up into their remarkable world, leaving them with the passage of those journeys in their bones and the fragrance of that atmosphere still shimmering invisibly near. There have been books so deeply entered into by their authors that they not only transmitted to their readers the scent of the impressions and understandings embodied in the book: they actually helped form the readers' very being. This is the vision of Rose Press books: that in taking them into yourself, you discover what is most deep and essential within you ~ and it opens your heart like petals opening to the light. MAKE TIME FOR YOUR OWN NOURISHMENT AND HEALING. STOP AND SMELL THE ROSES. These Rose Press books transmit that fragrance. Books that go deep take time to write, so quality may win out over quantity, here. We hope you will content yourself with the current varieties in this “garden,” and look forward to new blooms to come. Here is the vision of Rose Press books: that in taking them into yourself, you discover what is most deep and essential within you — and it opens your heart like petals opening to the light. That said, getting to the more subtle fragrance — the distillation of more earthbound, sometimes sludgy experience — is often what book writers dream of and work in the trenches to do. And when the book is finally complete, neither it nor its author is the same as in the beginning. Something essentializing has happened. Something — out of all the years and memories and ideas and possibilities dreamed of and lived through — has been distilled. And what is left on the page is the offering: the "fragrance," one might say. All the dregs have been churned up and left to sink to the bottom, leaving only the gift of the book. This, then, is what the reader gets to experience: a hint of the churning process, but ultimately, the fragrance. When 10,000 rose petals are gathered in the dark of early morning, placed into retorts filled with solvent, and heated over time until their oil rises as a liquid distillation, then you have just 16 ounces of that most prized (and expensive) of aromatics, rose essence (rose absolute). In the same way, Rose Press books are the distillation of their authors' essence, refined over time and many revisions to bring you into contact with the gift of something fragrant and indescribably beautiful within yourself. How Did Rose Press Grow? Rose Press developed organically out of my work as a Book Developer, working with writers in an attentive, intimate way to help them bring forth the books knocking on the inside of their hearts. This is part of the "distillation" that is also true of rose perfume. The very act of writing with the intent to reveal one's true nature opens up, clarifies, and transforms the writer's perspective on what she or he is writing about. So a mutually transforming relationship occurs between creator and creation, each enhancing and informing the other — much as, in doing a painting, over time each choice of shape, line, color, and so on will potentially revise everything else on the canvas in relation to that choice, and something deeper and more astonishing than the original intent will be revealed. From nonfiction to fiction to poetry, the living hearts of the authors will pulse in your own. May these books help you to come home to yourself.. In addition to updates about Rose Press books and authors, you will receive well-timed emails to serve your writing desires with inspirations, tips, and other gifts to encourage your flowering. As a thank-you for subscribing, you'll receive an excerpt from Starting Your Book: A Way to Navigate the Blank Page by Attending to What’s Inside You. Discover how your own natural way of creating will enable your writing dreams to come true. “Reading your book was like receiving a comforting hug of encouragement. I love everything about it: the way you've organized it; the crisp, succinct words of advice that don't hit you over the head; and the gentle, thought-provoking exercises. "The connection of writing and the heart — of the practice of writing as a way to get in touch with our divinity — how true! Once you have this treasure in your being, you realize how clear it all is — why we write, why it matters." "In this deeply warm-hearted and beautifully written book, Naomi Rose takes us with her on a very personal and profound journey to discover a woman’s way into the realms of money. “Claudio Naranjo is at the forefront of those seeking to transform the world. “For anyone wanting to make a difference for the better, Healing Civilization is a must-read!" “A deep and powerful story that ranks with the best fantasy-fiction, ever. "A richly rewarding story for those with the courage to seek the fullness of being alive." Deep reads for deepening readers. Rose Press books. A publishing house for your inner garden. Drink deep.